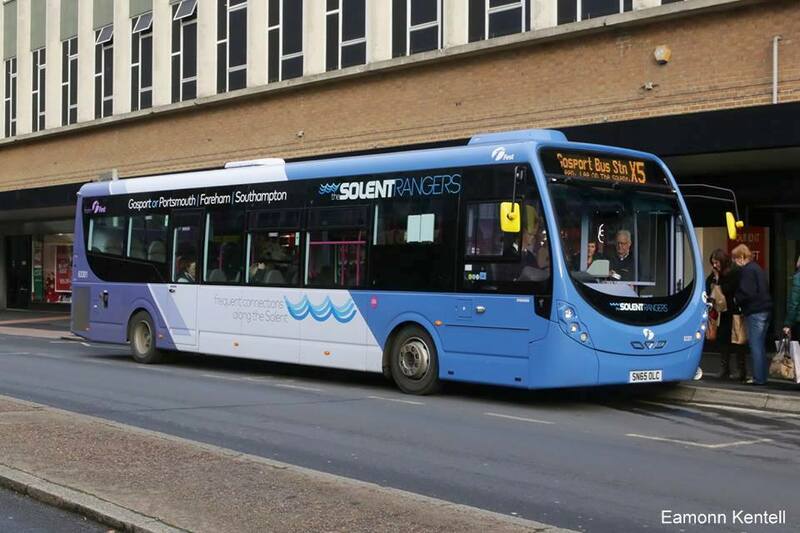 FirstGroup, has announced that its bus division has ordered 305 new vehicles worth £70m. The order by First Bus underlines its commitment to provide high quality services for its customers and partners and brings the company’s investment over the last six years to £455m in 2,500 new vehicles. The order also consolidates First Bus’s position as one of the largest operators of Low Carbon Emission Buses in the UK. 87% of the new vehicles will be Department for Transport approved ‘low carbon certified’, which First Bus estimates will save 4 million kg of CO2 per year. The 2016/17 investment will bring the company’s fleet of low carbon certified vehicles to around 1,000, believed to be one of the largest in the UK, saving in total an estimated 14.5 million kg of CO2 annually. 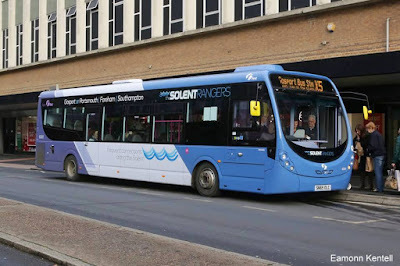 All 305 new buses will be fitted with the latest Euro VI engines, which produce 95% less oxides of nitrogen (NOx) emissions compared to buses with Euro V engines and as a result will help improve air quality in the towns and cities in which First Bus operates. The order is good news for customers. All the new buses will feature the latest technology, with complementary on board Wi-Fi providing passengers with free internet access, and by the end of the financial year around 60% of the 6,300 First Bus fleet will be Wi-Fi enabled. Most passengers will also benefit from leather seats, while some of the new vehicles will be fitted with next stop audio-visual display screens and around 30% with USB charging points, allowing customers to charge their phones and tablets on the move. The investment in technology to help keep customers connected on board reflects the commitment by First Bus to deliver a customer centric service that is simple, smart and seamless. Many First Bus customers are already benefiting from smart ticketing options and Real Time Information, while all customers can use their mobile phones as bus tickets through the company’s m-Ticket option. The company’s drive for innovative customer friendly improvements will continue through 2016/17. With 98% of the order to be manufactured in the UK, the fleet investment by First Bus provides a big boost to British manufacturing helping to support hundreds of UK jobs. Scottish firm ADL will manufacture 204 vehicles, while Northern Ireland’s Wrightbus has secured an order for 91 buses, and Volvo has won a contract to build 10 coach chassis in Sweden, with the bodies manufactured by ADL. 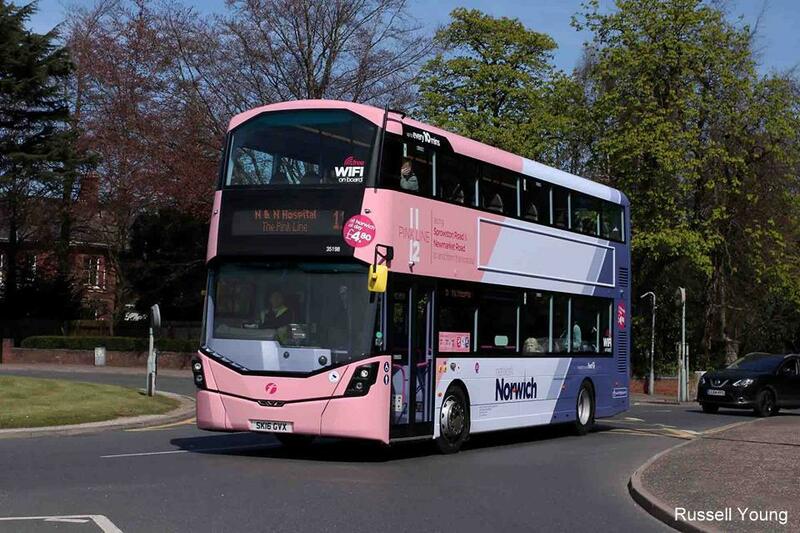 Recognising the commitment by First Bus to its partnerships, by way of many examples 14 new buses will enter service in Doncaster this month (April) marking the start of the ‘Doncaster Bus Partnership’ in May. The successful Sheffield Bus Partnership will benefit from a further 10 new vehicles. The strong developing partnership in Cornwall will see First Bus invest £7.1m in 30 new vehicles. 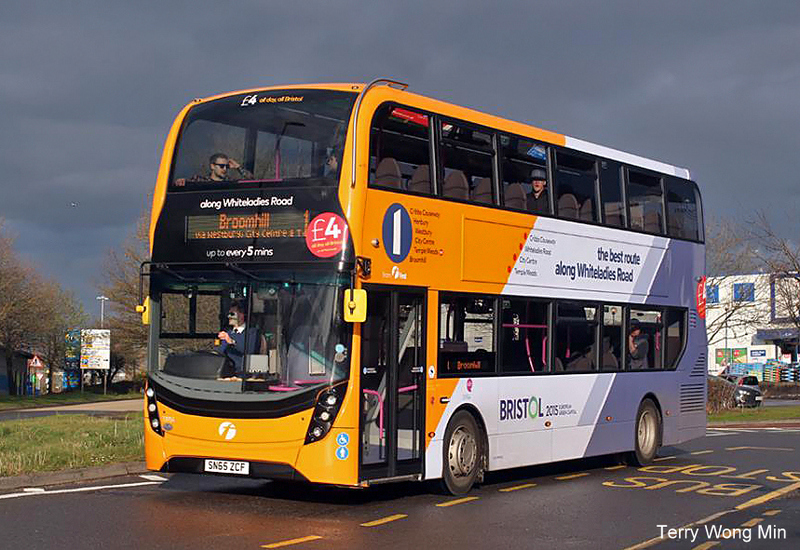 Meanwhile thanks to high profile partnerships in the West of England, particularly Bristol, 68 new vehicles worth £18.1m are earmarked for its operations.